By coincidence, Mitt Romney spoke to the Values Voter Summit right shortly after Bill Bennett – who pointedly used his speech to criticize Jeffress. “Do not give voice to bigotry,” he said. 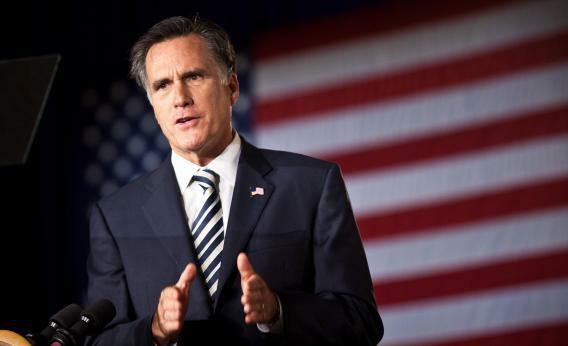 “Do not give voice to bigotry.” Romney was introduced by Jay Sekulow, the conservative attorney who materializes in front of SCOTUS or Fox News cameras whenever the ACLU rears its head. Our values ennoble the citizen, and strengthen the nation. We should remember that decency and civility are values too. One of the speakers who will follow me today, has crossed that line. Poisonous language does not advance our cause. It has never softened a single heart nor changed a single mind. The blessings of faith carry the responsibility of civil and respectful debate. The task before us is to focus on the conservative beliefs and the values that unite us – let no agenda, narrow our vision or drive us apart. More subtlety: It was Bryan Fischer, the America Family Association’s fire-breathing radio host, who gave Jeffress one of his less combative interviews yesterday. Fischer took the podium and did not disappoint. The rapidity with which we’ve come to hear talk like this and realize it’s about Romney, and not Obama, has been something to behold.